Let's face it. The city of Miami is a big, busy place. It is the center of an enormous urban area with a total population of around 5. 5 million. There's a lot to do and a lot to see. However, if you intend to make Miami your home, you need to get essentials in order. Finding good health insurance should be one of the top items on your "essentials" list. Often, in sprawling, bustling urban areas, it can be especially difficult to find the assistance you need. Finding someone that will take the time to help you navigate through health insurance options is a tall order, if not impossible. When it comes to finding quality health insurance coverage within the Miami Florida region, you are likely on your own. So where should you begin? Below are a few first steps you should take toward finding the health insurance you need. This is an essential first step. Whether or not your employer offers health insurance coverage does not matter. Employers are required to have knowledge concerning health insurance issues - even if they don't offer it. Ask your employer about finding health insurance in Miami. If they are not a definitive information source, they can likely point you in the right direction. This would be the easy choice, if your employer offers it. If your Miami employer does offer health insurance benefits, find out as much as you can about their employee package, as soon as possible. Do not be put off simply because you are a new employee. This is information you are going to need for the long-term. There are likely guidelines qualifications and deadlines that you will want to be aware of. Get the information you need. What if Group Insurance is not an option? Perhaps your Miami employer does not offer Group Health Insurance, or the waiting period to qualify if prohibitively long. Perhaps a lack of working hours precludes you from qualifying. Now what do you do? Gather what information you can from your employer and co-workers and begin your research online. 2. Check with the department of Insurance for the state of Florida. Visit: Floridahealthfinder.gov. 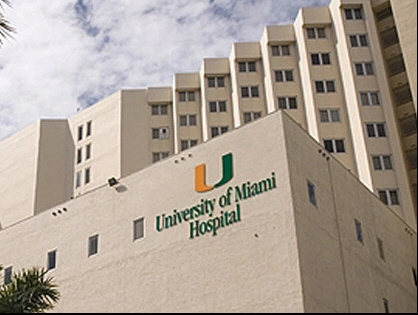 You can use this site to see what health plans are available in Miami Florida. You may also view quality of care performance data, and data from a survey focusing on member satisfaction with their health plan. This information is not designed to recommend a specific health plan, it's simply to help you know what plans are available to you. Also visit: Healthcare.gov. This is the hub for the Affordable Care Act health plans. You will find a wealth of information on health plans and health insurance companies that are available in Miami. Keep in mind, HealthCare.gov, may not have an ideal solution for your circumstance. You may not qualify for an ACA plan, or you may have missed their relatively narrow open enrollment period. If ACA plans are not a fit for your needs, not to worry, there are other viable and affordable options that may be ideal. Be sure to check out Newplanoptions.com. You will find affordable coverages for Miami Florida residents that are not limited by ACA restrictions. 3. Contact a health insurance specialist. Jump online and search for a health insurance agent. Type in "health insurance coverage in Miami Florida". You may have to scroll down a few listings to get passed national advertisers that are of no practical use. Try to find a local expert. Check the website to ensure that the agency specializes in individual Florida health insurance. Then give them a call to see if a real person actually answers the phone.